This taxi service makes your Uber look pedestrian with a top speed of 200mph. It may cost you £155,000, but if you live in Lincoln you can hire this Lamborghini Huracan to pop to the shops or pick you up from your mate’s house. The silver bullet is one of the first ever sports cars to be given a cab license. The coupe can hit 0-60mph in a terrific 3.4 seconds. Licenced by the City of Lincoln Council, this motor is owned by Handsome Cabs taxi company. Customers can hire the car for any trips they like. Whether it be airport runs, a trip to the shops or a hot date. They can also hire the Lamborghini for special occasions such as, proms, weddings or business trips. John Bishop, 53, of West Lindsey, Lincs, who runs the company alongside Jamal Parvez, 39, said: “We just thought it would be something a bit different, really. “We had the idea about a year or so ago, and since then we’ve been determined to make it work. “We think it’s something that’s going to help make us stand out. The only problem is that there’s only one seat next to the driver, so you won’t be able to enjoy your ride with friends or family. 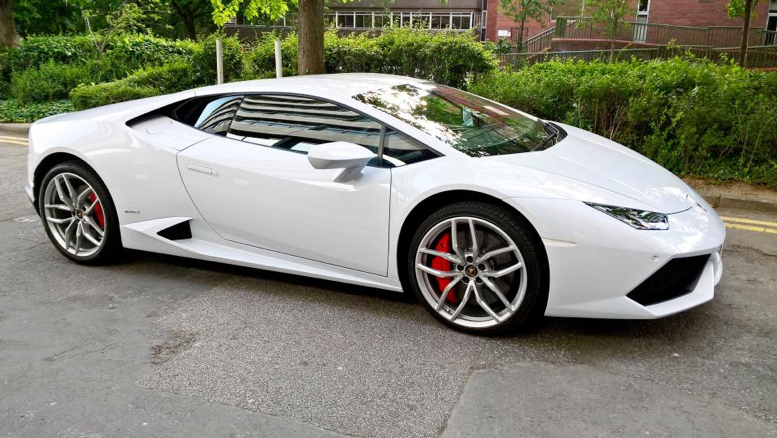 Councillor Cath Brothwell, chairman of the council’s licensing committee, said: “Our committee received an unusual application from Handsome Cabs and have granted a license for their Lamborghini Huracan as a specialist private hire vehicle, for restricted use. “It is certainly an impressive vehicle and one which will no doubt turn many heads around the streets of Lincoln and beyond. “People will be used to seeing cars like this in The Fast and Furious, but not so much on Firth Road and Flaxengate. Hire a Lamborghini from Limo Broker today, contact us at, https://www.limobroker.co.uk/contact/.